Back in 2015, Splatoon’s low-key disturbing moments baffled everyone. Turns out, the sequel can be just as unsettling. That’s right, Splatoon’s mysterious boss sounds are back. If you linger too long after defeating a boss, you get to hear a mixture of metal and moans, almost as if something is dying. The first time around, Splatoon’s director said the disturbing sounds were news to him, but there’s no way they didn’t know about it here. This isn’t Nintendo just recycling an old track: if you listen closely, there are some new elements to it. In the first game, we were tasked with retrieving energy sources called Zapfish from the Octarians. Players rationalized that, in doing so, Inklings were basically dooming the Octarians to die. The sounds, players theorized, were failing Octarian infrastructures. In Splatoon 2, you’re still taking back Zapfish, but the twist is that this time around, Callie, a member of the Squid Sisters, has gone missing. 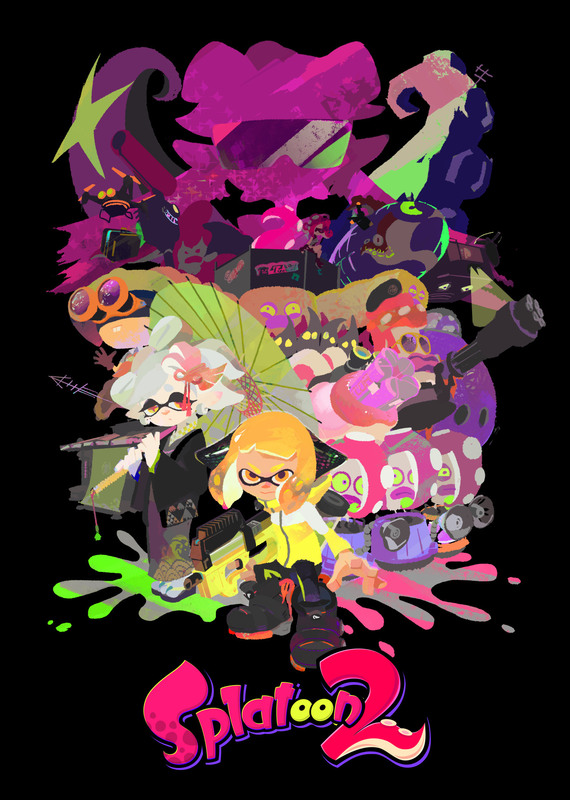 Thanks to some key art, many players are theorizing that Callie has turned evil—after all, we know that the Great Zapfish disappeared around the same time as Callie. That can’t be a coincidence. Is Callie responsible, or has she simply been swept up in a nefarious plan? Marina, you’ll note, is an Octarian. And yet, Inkopolis has been warring against the Octarians for a while now, to the degree that we are destroying their homes. What’s the deal? Is it propaganda of some sort? Is the war cooling off? Have we been fighting a secret war this entire time, with society-at-large being totally cool with Octarians all along? Something fishy is going on in Splatoon 2. I’m excited to keep playing, and find out what’s really going on here.